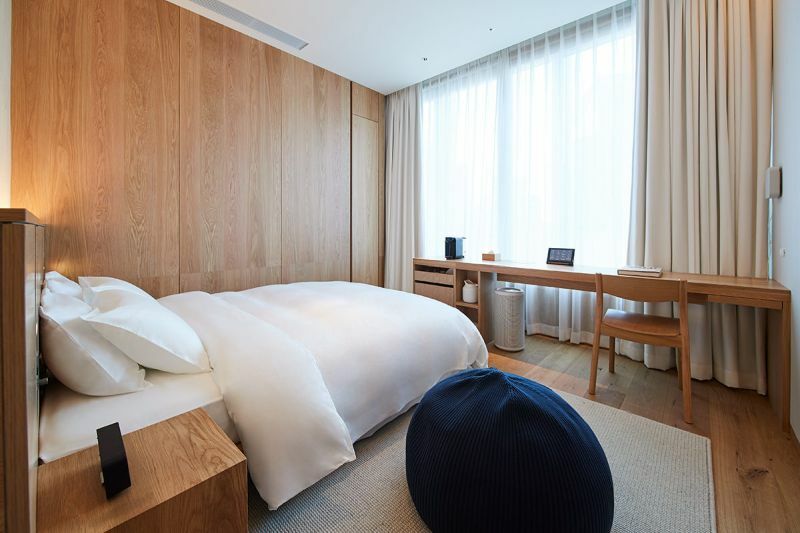 Japanese retail company Muji opened a new hotel in Tokyo’s Ginza neighborhood, allowing people to experience its range of lifestyle products and services. 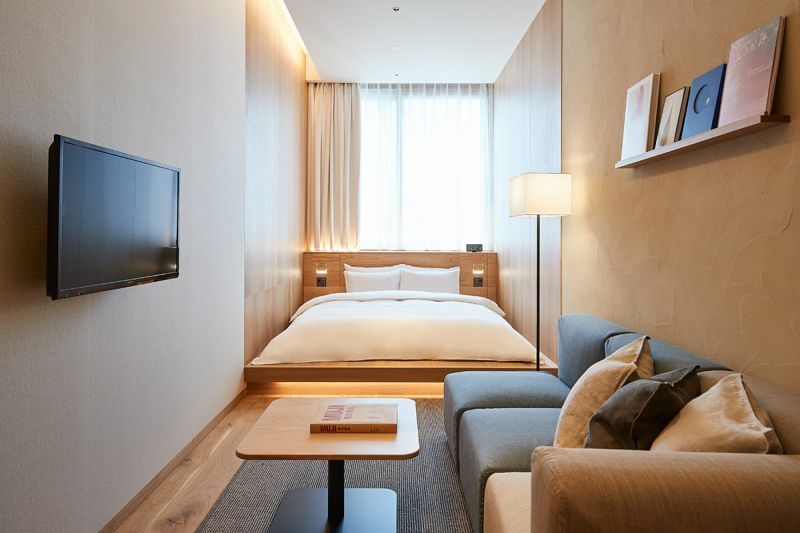 Occupying 6th to 10th floors of a commercial complex in Ginza, it has a total of 79 rooms ranging in different sizes. 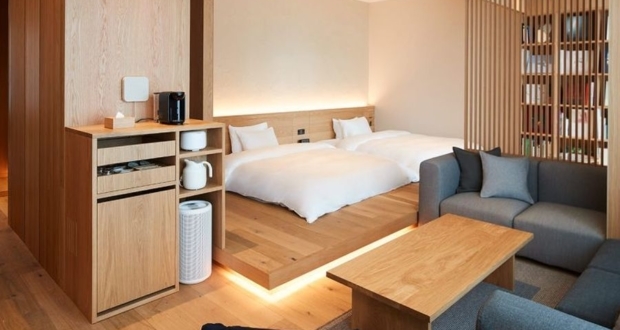 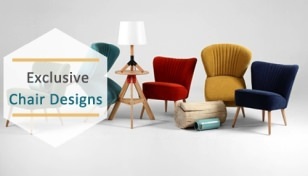 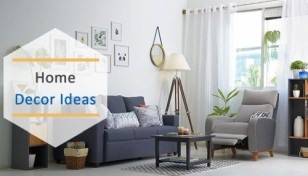 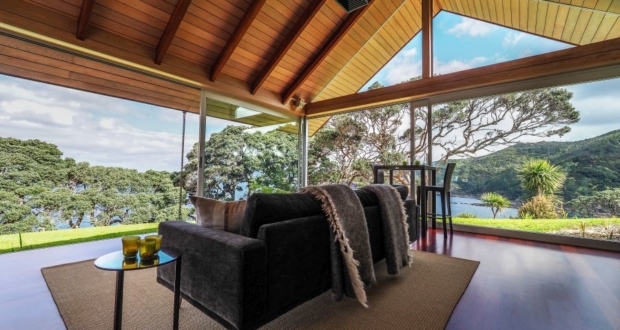 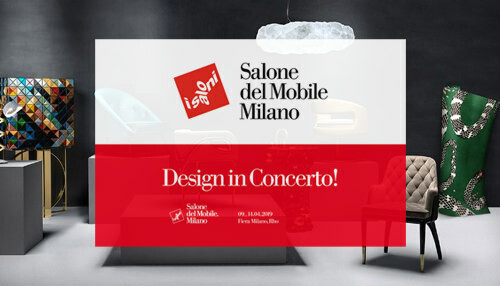 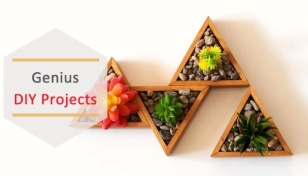 Each room is furnished with different lifestyle products sold by Muji, from furniture and electronics to LED desk lights and other commonly used household items. 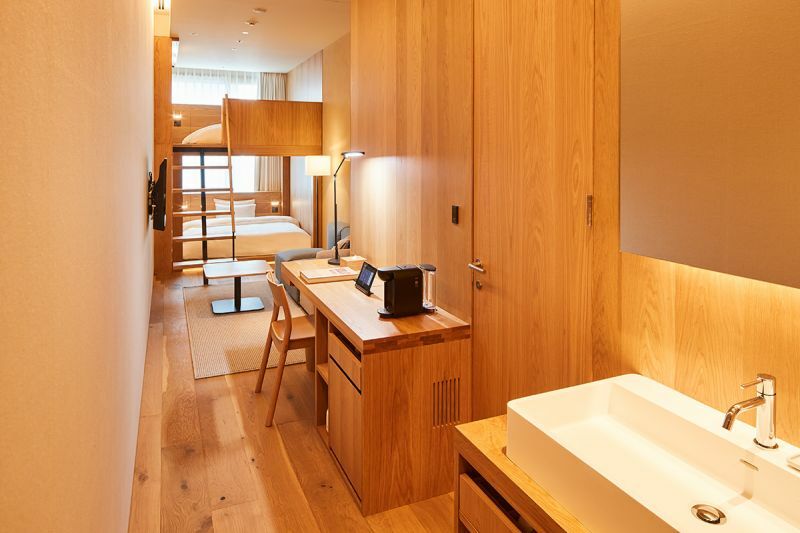 There are nine different room layouts, entitled Type A to Type I, ranging from $135 to $500 at the Muji Hotel Ginza. 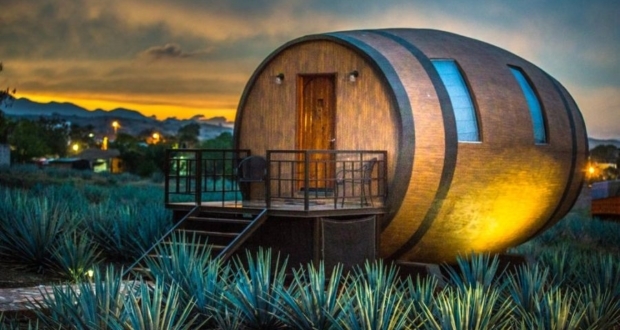 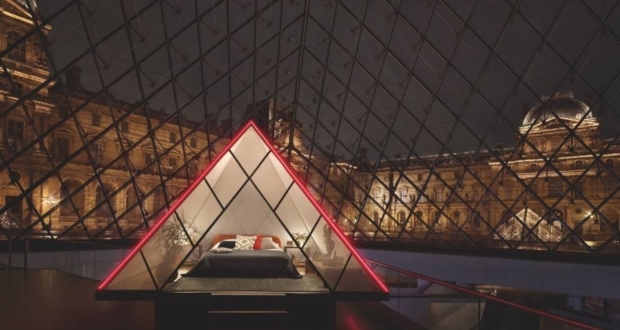 From a 14-square-meter compact room for two persons to a bigger 52-square-meter room with twin beds to sleep four persons, the hotel is designed to cater to all types of guests. 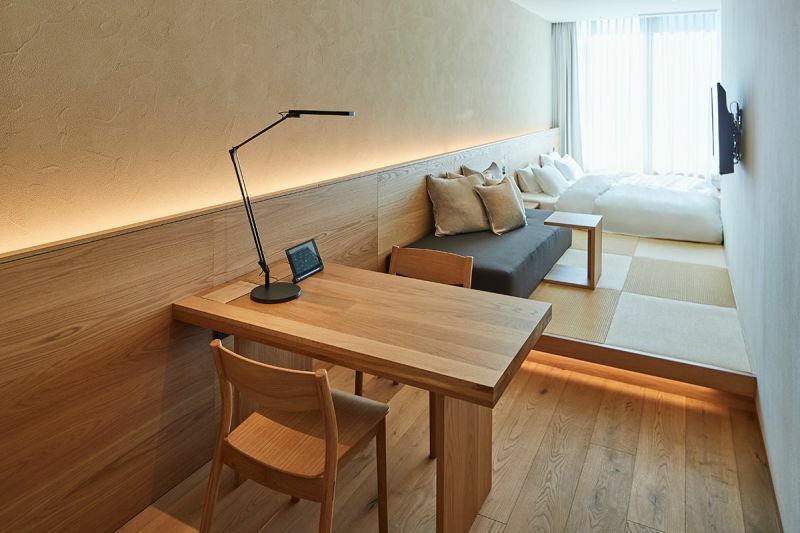 The minimalist interiors of these rooms are made mainly from wood, stone, soil, and scrap material retrieved from the trams of Tokyo, which are specifically designed to blend with Muji products. 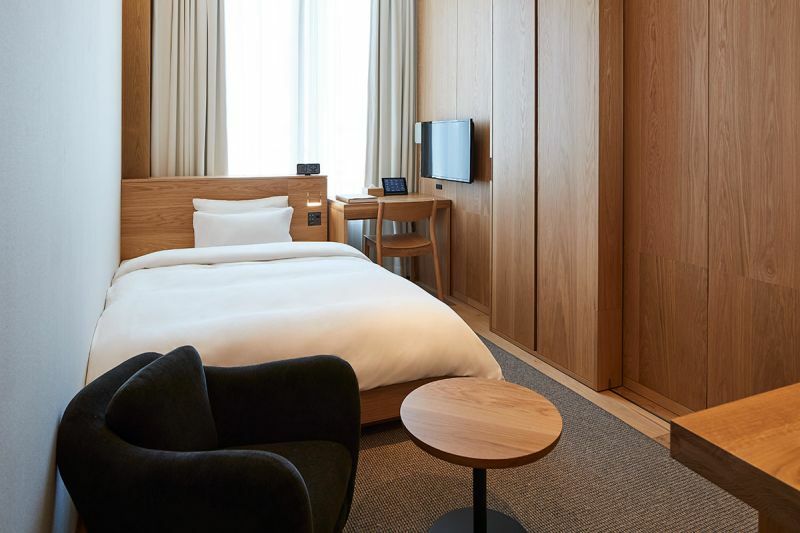 The new hotel also has a restaurant, salon, bakery and an art gallery with a lounge and a bar. 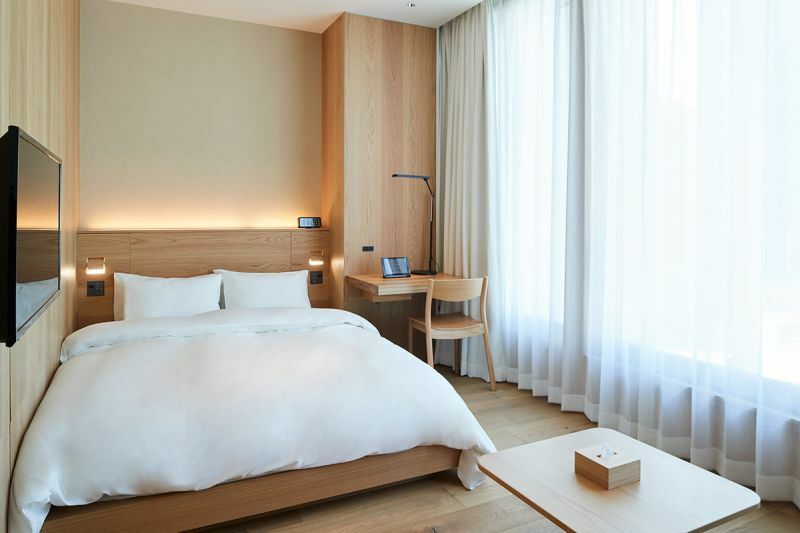 This is the third Muji hotel globally, with previous launches being in Chinese cities of Shenzhen and Beijing. 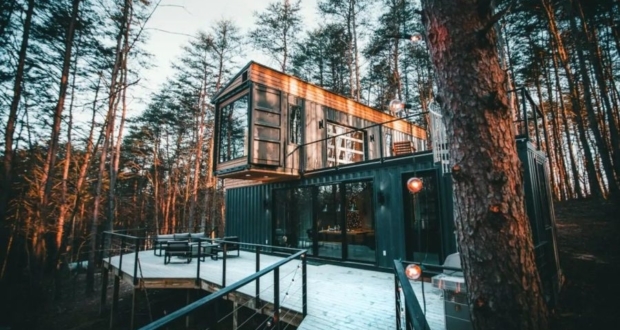 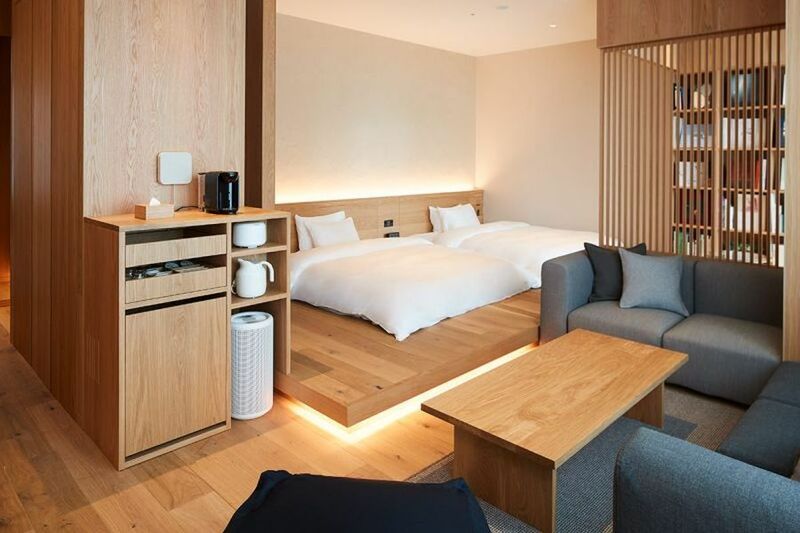 The new hotel is operated by Japan’s UDS, which pays Ryohin Keikaku licensing fees to use the brand name and buys hotel amenities and related items from Ryohin Keikaku or Muji itself. 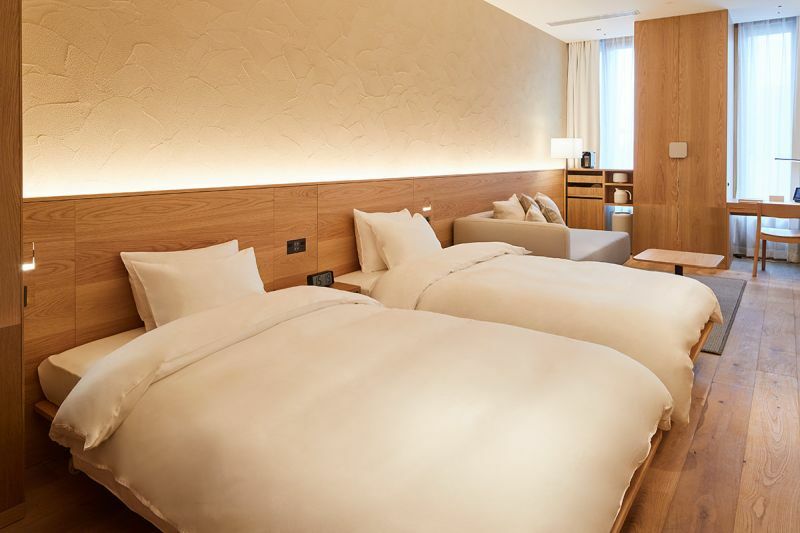 The Muji Hotel Ginza officially opened yesterday, with reservations available online now.